What are the Advantages of Choosing a Company to Build Your Website? In the first years of the Internet, websites offered information in straightforward (if not always attractive) formats, created by men and women with specialized training, often self-taught. Today, nearly anyone can create a web presence—a blog or website, compatible on multiple devices and across various platforms. As a business owner, it’s possible to create a site, but the real question is: will it deliver the results you’re looking for? While the “build your own website” ads look appealing, with easy-to-fill-out forms and low prices, they may not be the best choice for your business. Choosing a company specializing in professional website building offers many advantages over the drag & drop, fill-in-the-blank, pre-formatted online builders. While hiring a company to design your website might cost more money up front, the benefits reaped from a fully functioning, easy-to-use website can be enormous. By using an online site to build your website, you could miss out on different ways and techniques to create more traffic for your site. This is the expertise you need that a website company brings to the table. 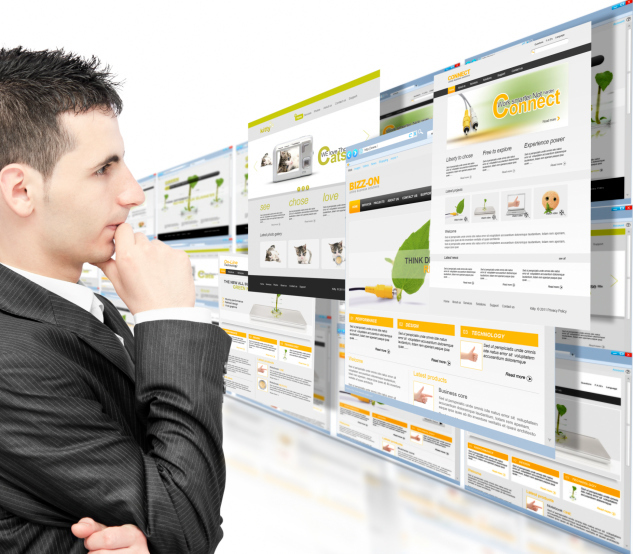 When choosing a website company, you get the expertise and knowledge of a large set of individuals. These experts know what is trending in design and how to create a user-friendly site with calls to action. Most businesses and individuals do not have the time or in-depth knowledge required to build a truly useful and informative website that sets your company apart from the competition and provides a great user experience for any visitor. Do you have specific design specifications you want incorporated into your new website? Do you have a vision for what your website will look like? If this is the case, an online website builder will be unable to fulfill your website dreams. Only a website company can sit down with you and talk through the wants and needs of your new website and advise on the best way to accomplish this. While the build your own website ads can be tempting, the advantages of using a website company like Kinetik I.T. far outweigh that temptation. A company can be more cost effective in the long run and create the website of your dreams. To learn more visit www.Kinetik-IT.com or follow Kinetik on Facebook, LinkedIn or Twitter. A recently released Australian study estimates that $300 million is lost each year to online fraud, up 16 per cent from $261 million in 2012. With the average value of illegal transactions totaling almost $200, these individuals aren’t losing a fortune. Still, losing any amount of money to online fraud is unpleasant and unnerving, leaving one to wonder where the breach occurred, and how the sensitive data was accessed. While big box stores have gotten flack in the past year for not having adequate security measures in place, fraud experts suggest the biggest concern for consumers is not where they shop in person; rather, using online websites to shop leaves shoppers’ financial secrets vulnerable to cyber-thieves. Fortunately, there are simple ways for the average individual to guard their information. Kinetik I.T. President Josette van Stiphout shares some basics for keeping information safe. “When opening an account online,” she suggests, “the first thing to do is to choose a unique username and strong secure password—not the obvious ones. Any device connected to the Internet is at risk for exposure to malware, viruses, and hackers. Keeping devices clean, as well as keeping current with updates—which often include security fixes—for software, applications, and operating systems will also help mitigate the risk of infection or intrusion. Everyone loves posting to social networks, but keeping your personal life, well, more personal, is another way to safeguard information. Posting images of vacation while on vacation may seem innocuous, but it can be a clue to cyber thieves that you may not be paying close attention to your finances. Another threat is using unsecured Wi-Fi networks and public hotel computers. Ward Clapham, vice president of recovery services at Absolute Software in Vancouver, British Columbia is quoted as saying in an NBC article, "Because they're on vacation, they most often want to quickly check an email, or post a picture to Facebook, and blindly connect to a network not knowing or caring who runs it or its security setup." Cyber thieves are setting up Wi-Fi networks for the sole purpose of getting a hold of your personal or financial data. In addition to not using unsecured connections, Internet users should also ensure they’re using secure websites, the URL of which will begin with “https.” These sites are able to encrypt login details prior to sending it to the server, keeping it safe from prying eyes. It’s possible remain cyber-theft free by being aware and using some foresight. Whether you or your business has been the victim of cyber-crime, Kinetik offers disaster recovery audit, planning and implementation services to get you back on your feet. Located in Phoenix/Scottsdale, Arizona, Kinetik IT is a full-service information technology and Internet services provider. To learn more about services and products, and to stay up to date with Kinetik IT, visit www.Kinetik-IT.com or follow Kinetik on Facebook, LinkedIn or Twitter. And already, 2014 has been a great year for new trends in design, with simpler, to-the-point designs. With the rise of smartphones and tablets, mobile devices continue to inspire innovative design. Whether mobile or web, here is a short list of a few of the most popular trends in design so far this year. Less Text -- Imagery has always been important on the web, and this trend won’t be letting up any time soon. Numerous apps, and some websites, rely almost exclusively on images and icons. This can work perfectly for some, but the trend isn’t ideal across the board. Don’t feel trapped by this trend; if more text is needed to convey your ideas or to make navigation easier for your customers, use it! Minimalist Navigation -- This trend has been welcomed by many smartphone and tablet users, and with the interplay between design for mobile and web design, this trend is guaranteed to continue. The focus here is on scroll-downs, icons, and navigation that contracts when you scroll further down the page. Cards and Tiles -- Look at any newer website, and you will see this trend in all its glory! Cards are like mini, condensed web pages, and commonly include title, a user name, a picture, various icons, and, sometimes, a brief amount of text (think Pinterest, and you’ll get the idea). Cards and tiles can be a great way to display large amounts of information without overwhelming users. Expanding Search Bars -- This is a new trend welcomed by all. Its primary purpose is to save room on the page. Either a semi-hidden or an expanding search bar can be used at the top and toggle it up or down just like a navigation menu. This feature works great in responsive layouts and can be used in more complicated designs. Quick User Registration -- Our world moves too quickly to fill out a long, detailed registration form. If you are looking to capture new visitors, try a two- to four-field registration. This newer trend is seeing a lot of use in all types of websites. Gone are the days of long forms, try this new trend to see a large increase in registrations! Typography and Monochromatic Design -- With the rise of web fonts, many designers are using a mix-and-match approach to websites. Sometimes bigger is better, and many designers are heading in that direction. Monochromatic design is also on the rise. Using only two colors and the numerous shades of each can make for a cleaner looking site. The joy of the web is that there is always something new to see and enjoy. These trends, and numerous others, give designers a new way to engage users and entices visitor interest in a particular site. The use of more than one of these trends can be seen in many sites. Be sure to think about what works best for the content and the user when considering a new trend. To learn more about services and products – including mobile and web applications – visit www.Kinetik-IT.com or follow Kinetik on Facebook, LinkedIn or Twitter. When choosing an online shopping cart, there may not appear to be many nuances; however, consider that cart abandonment is one of the major problems common to all online retailers, regardless of industry. And the issue is widespread: studies indicate that 68 percent of shoppers abandon their shopping cart before completing a transaction. Some businesses report up to an 80 percent abandonment rate. Shopping cart abandonment has led to an annual loss of billions of dollars and climbing. According to Forrester Research, the estimated total of annual abandoned shopping cart revenue will reach $31 Billion dollars. Most research indicates that consumers stop the purchase process due to unexpected costs like shipping and taxes as the top reason followed with “I was just browsing” as the second highest reason for cart abandonment. It is important to keep these behaviors in mind and remember that consumers usually don’t purchase the first time they visit. With that said, optimizing features and functionality of your shopping cart is a critical part of increasing ecommerce. In any ecommerce situation, the shopping cart is the conduit of a company’s income. 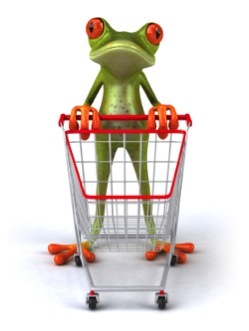 Making a well-informed decision in choosing the right shopping cart is of primary importance. There are several factors to consider. Just like choices regarding your website’s design and functionality, you must decide whether to use out-of-the-box software, or to create a custom e-commerce solution. Ecommerce functionality should fit your business needs, and creating a custom online shopping cart allows your website to drive revenue to your business and encourages consumers to complete that transaction. To learn more about services and products – including how custom designing an online shopping cart can help your business – visit www.Kinetik-IT.com or follow Kinetik on Facebook, LinkedIn or Twitter. Recent studies have shown that having a potted plant can significantly increase a worker’s productivity and creativity. The findings harken back to a theory first published in 1980, called “attention restoration theory.” The gist of this theory is that our brains expend a lot of energy on tasks that require direct attention. This type of mental fatigue is only restored when that concentration stops. There are multiple ways to do this—meditation or a nap is ideal, though not always practical on the job. When we're awake, direct attention can be refreshed by shifting focus to something indirect. In the potted plant study, nature offered just this type of absorbing, restorative distraction. While the basis for this theory lies in spending time observing nature, similar benefits are seen when individuals engage in other activities, such as playing games and playing with toys. That’s right—playing with toys. We’ve all heard tales of the Google and Facebook corporate campuses, where arcade games are common, and extracurricular activities abound (including gardening at Google’s London HQ). This is attention restoration theory at work. Most businesses don’t budget or have the space for ping pong tables or pinball machines; fortunately, smaller games and puzzles also provide the rejuvenation that employees periodically need. Simple items that allow for tactile engagement offer similar benefits to restore the overworked brain and lead to high productivity and happier employees. Visit www.kinetik-it.com or follow Kinetik on Facebook, LinkedIn or Twitter. Oftentimes, the rule of thumb for managed web hosting is the higher the price tag, the better the technical support. The monthly cost of managed hosting packages can vary from less than $50 to several hundred dollars. At Kinetik I.T., we don’t think it should cost a fortune to host your website. We offer managed hosting solutions that are secure, affordable and easy to maintain. Our web-hosting servers are co-located in a state-of-the-art data center with continuous monitoring and 24/7 toll-free technical support. Through redundancy and reliability, our server configurations allow us to guarantee 99.9% up-time. 24/7 Toll-Free Technical Support – Talk to a live technician right away and get your questions answered now. Server-Side E-Mail SPAM Filter – With 3 levels of sensitivity and 3 different handling options, the filter will reduce SPAM delivery by over 90%. Server-Side E-Mail Virus Scanning – A virus can never make it into your inbox, because the server deletes the virus and notifies you of the attempted intrusion. Rotated Visitor Logs for Statistical Reporting – At the interval you desire, logs are automatically rotated and compressed into time-stamped files for quick identification. Our goal is to empower you an simple to use and secure control panel so you can easily manage all aspects of your hosting account. Our web hosting allows you to create and manage e-mail boxes, FTP accounts within your domain, generate usage statistics, manage your files on the server, analyze your web site structure and integrity, secure sections of your web site and manage multiple user access, and configure and install common CGI scripts and more.